March 31, 2019 Robert W.
Las Vegas contractor wood signs are usually for a large construction projects where the contractor wants their own sign to promote their business or a ” Project Sign” that displays what the property is going to look like after it is finished. Las Vegas contractor wood signs are cheap marketing when compared to the results of business gained from the use of contractor wood signs. Large wood signs placed on a property that is being constructed on will get noticed. 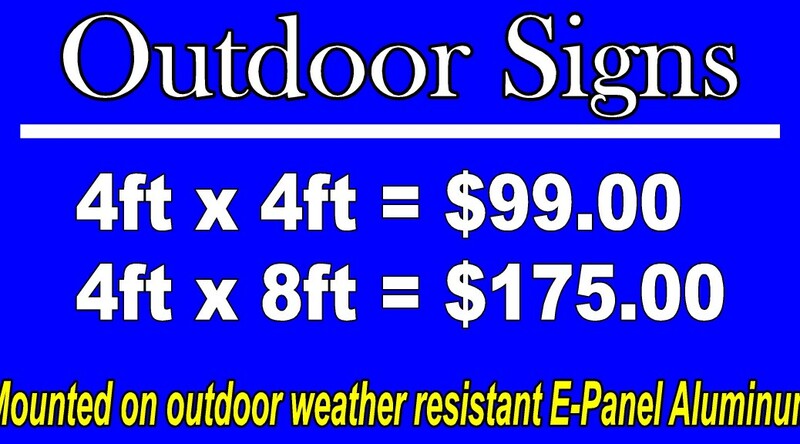 These large wood signs are supported with 4″ x 4″ wood posts or even 4″ x 6″ wood posts when necessary. These wood signs can be very large simply by placing the 4ft x 8ft wood MDO signs next to each other in order to simulate one large graphic. The sign is printed using eco solvent ink, ( inks that are designed to maintain their integrity during the hot summer months against fading ) and then laminated in order to protect the sign from scratches and such. The print can be full color, meaning you can print any combination of colors you want on it as well as pictures and logos. The 1/2″ thick wood board allows the sign to weather the elements and add sturdiness to the sign. Contractor wood signs are made to last and withstand the weather elements because generally they are put up or posted by themselves and are free standing. 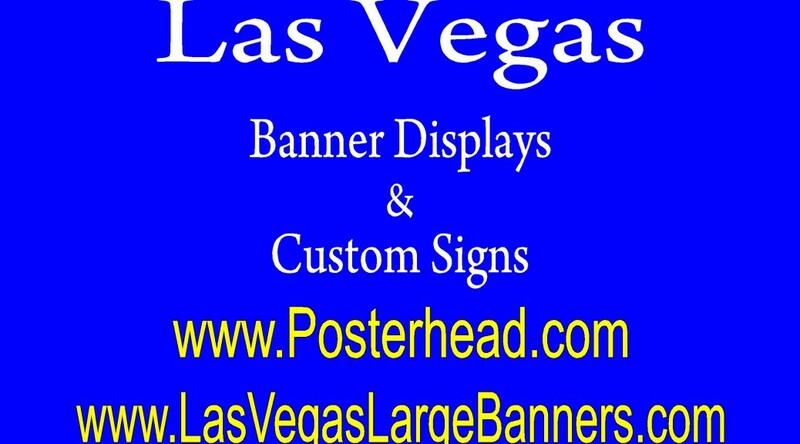 Las Vegas contractor wood signs are not expensive at around $125 for a 4ft x 4ft 1/2″ thick wood sign and around $225.00 for a 4ft x 8ft 1/2″ thick MDO wood sign. These heavy wood signs only take a few days to make and can be any color you like. Contact your local sign store today in Las Vegas and see how these heavy wood contractor signs can help your business and make you more profitable. January 17, 2019 Robert W.
Custom wood business signs can get you that custom printed and built wood sign to display your business. Custom wood business signs are great for home builders or contractors for the properties they are developing or working on. Home builders and contractors use wood signs on site as a way of letting the public know what is being developed on the property. Many times the will place the artist rendering picture on the sign to let people know and also advertise what is coming in hopes of attracting interest in their project. Contractors will use these custom wood business signs as a way to advertise their construction company to everybody that passes the construction site. What better way to get the thousands of people travelling by the site to get name recognition and branding of your company name. This is especially true if the people passing by your construction site every day live in the neighborhood. Contractors will generally place a large 4ft x 8ft wood sign mounted on 4″ x 4″ wood posts in a fairly visible spot so as to get noticed. Custom wood business signs are also used at local businesses in Vegas. These wood signs can be placed in front of a store or on the side of a building to get people to notice the business. These wooden signs can be any size and can be full color, meaning you can print all sorts of different colors on the signs as well as logos and pictures. The large the sign, the easier it is for people to see. This is important, because if the wood sign is far from public view, it needs to be big so that people have the ability to see it and act upon it. Ask a sign store how a wood sign could help your business. April 21, 2018 Robert W.
Wood for sale signs are very easy to make when you want a heavy sign. Wood for sale signs in Vegas have generally been replaced with the lighter aluminum signs called e-panels or B-bond panels. They are 2 sided aluminum signs with a filler substrate in the middle that have been bonded together to make a solid, yet lightweight sign panel. Yet, the classic wood sign has been around for a long time and is very appreciated by many business people according to Ed Brown( who can be found at https://community.articulate.com/users/edbrown-17a7cbd3-d271-46b5-a0b2-513ce8035d3a or https://medium.com/@posterheadgraphics. Wood signs are generally about 25% more expensive than aluminum composite signage but yet have advantages over the lighter aluminum signs. 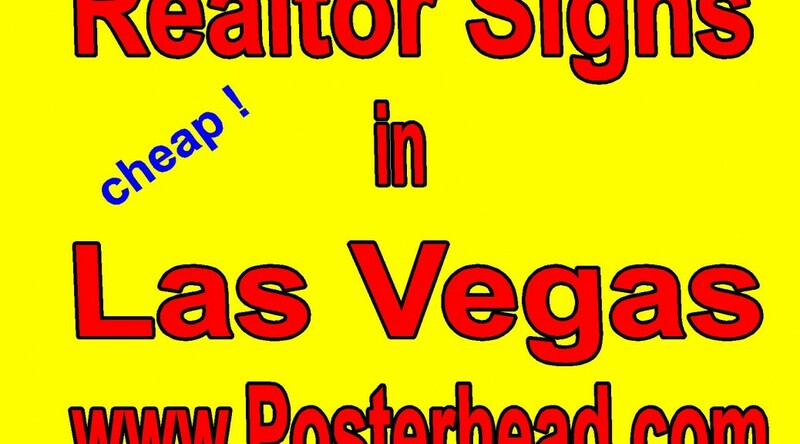 In Las Vegas where at times it gets very windy, a heavier wood sign is a blessing because it makes for a sturdier sign. These wood signs are often used by commercial realtors for signage in front of commercial buildings that are available for rent or for lease. These wood signs can be various sizes to accommodate all the information that is need about the property for lease such as zoning, utilities, square footage, etc. While the wood sign is made f wood and then subject to the elements of the weather, it does have a life expectancy that is shorter than an aluminum sign, but yet can still last several years, even under the harsh conditions of the weather of Southern Nevada. Wood for sale signs are not hard to make and can be made very quickly, often in just a day or two. A vinyl application is printed and then applied to the wood substrate and then laminated to help protect the print from the sun and other natural elements. These wood signs can then last a long time. Contact a sign company in Las Vegas to see how these wood signs can help you.